Former carpenter John Sweeney is regarded as one of the most dangerous men in Britain. He killed two girlfriends and dumped their remains in city canals. He is also linked to several other violent attacks on women. "I'm just a manimal, twisted and confused, very dysfunctional"
"The family’s hope for the future is that John Sweeney will never be allowed free to carry out such crimes again." John Patrick Sweeney is born in Kirkdale, Liverpool, in 1956. He spends most of his early life with his mother in Skelmersdale where he trains as a carpenter and joiner. After travelling around Europe he marries Anne Bramley. They divorce in 1979 but remarry two years later and have two children. Sweeney’s life of crime begins early and is centred on his troubled relationships with the women in his life. He may have started with low-level offences, but the seriousness of his crimes quickly escalates. In 1982, he is bound over to keep the peace by magistrates in Ormskirk, Merseyside, after his wife complains to police that she had been threatened by him. Within a few years he would progress to torture, assault and ritualised murder. Sweeney meets photographer and former fashion model Melissa Halstead in 1985 and the two begin an on/off relationship, characterised by their mutual use of drugs and Sweeney’s violence and unpredictable behaviour. Melissa’s dismembered and mutilated body, missing her head and hands, is found in a bag floating on a canal in Rotterdam on 3 May 1990. It is not until 2008 when her remains are identified using the latest advances in DNA testing, that the police can finally charge Sweeney with Melissa’s murder. In 1994, Sweeney tortures ex-girlfriend, Delia Balmer, trying to scalp her with an axe. This serious assault comes shortly after Sweeney is released on police bail for putting a gun to her head and threatening to kill her. 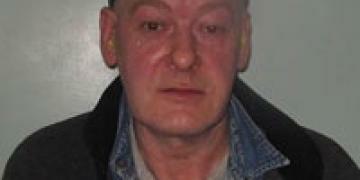 Sweeney, now wanted for attempted murder, goes on the run in Europe, not returning to London until 2000. He then starts a relationship with mother-of-three, Paula Fields. It is a chaotic relationship and after her children are taken into care, Paula begins using crack cocaine and working as a prostitute. Her family report her missing in 2001 and shortly after her dismembered remains are found in Regent's Canal. As with Melissa, Paula’s body is missing her head and hands. It would take years for police to make the link between Sweeney and the horrific murders of these two women. Despite the murderer’s efforts to remove all evidence of the crimes, his private collection of drawings and poetry would hold a confession of the untold horrors Sweeney bought to women for over 30 years all across Europe. In a television exclusive CI discovers the harrowing story of how, over 30 years previous, Philpott stabbed his then teenage girlfriend Kim Hall.